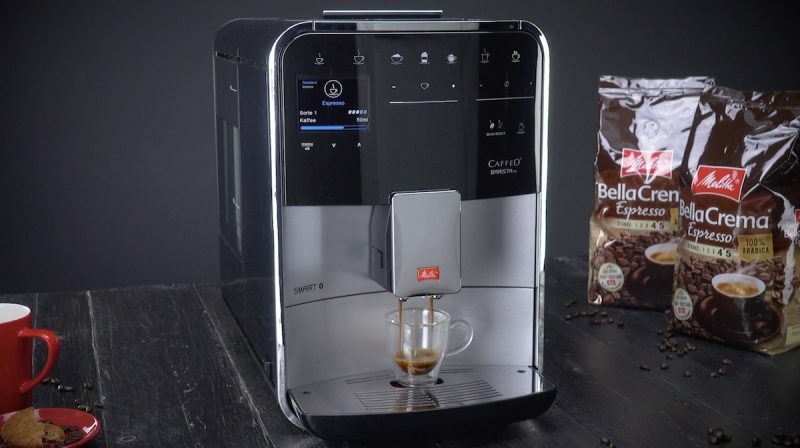 Be it coffee, espresso, latte macchiato, or cappuccino, a caffeinated beverage is liquid gold for most people. But you can also enjoy coffee in a more solid form, and when added to chocolate and other desserts, it becomes solid gold. 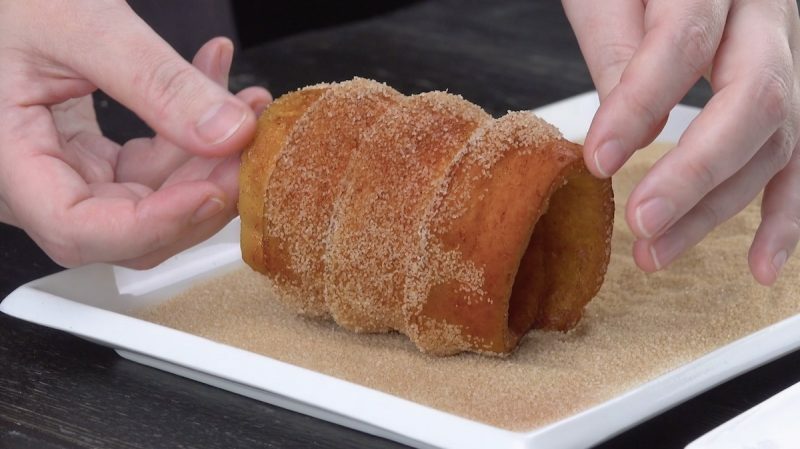 This recipe will show you the best of both worlds — a creamy coffee drink contained in a doughy cinnamon-sugar shell. 1. Prepare the yeast dough using the above ingredients, cover the bowl with a damp cloth, and leave it to rise in a warm place for 1 hour. 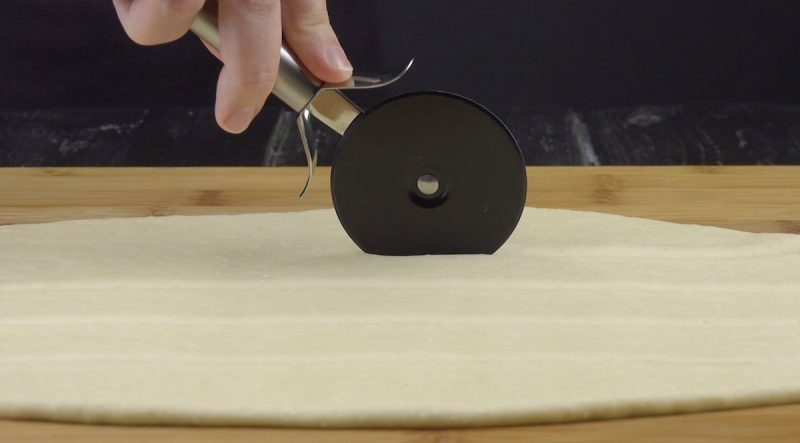 Then roll out the dough lengthways and use a pizza cutter to cut out 6 long strips. 2. 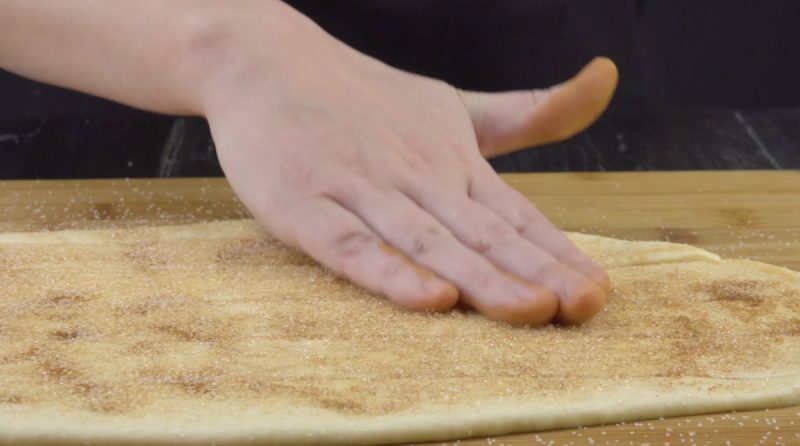 Sprinkle cinnamon and sugar on the dough and lightly rub it into the surface. 3. 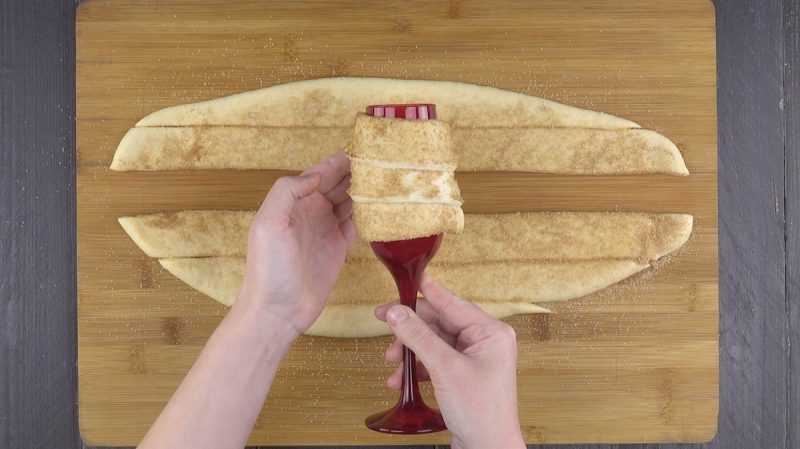 Wrap each dough strip around a champagne glass, as shown in the video, and freeze the dough-wrapped glasses for 4–12 hours. 4. Heat the oil in a deep pot. 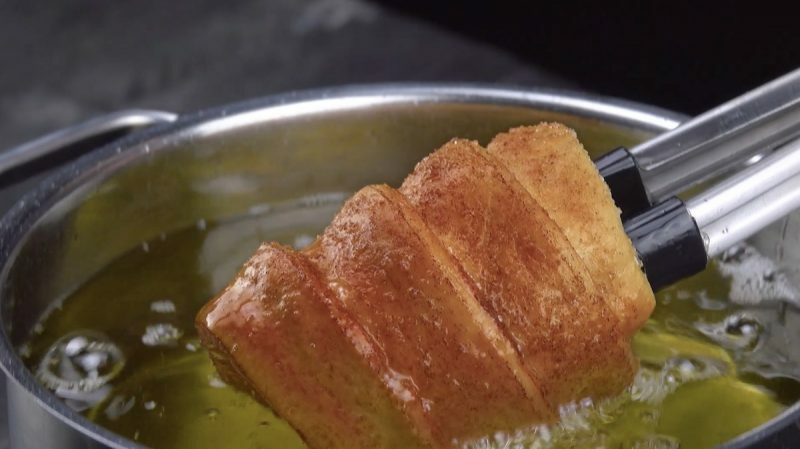 Carefully slide the frozen dough off the champagne glass, stick kitchen tongs inside to hold it steady, submerge the dough in the hot oil, and fry until crispy and golden brown. Repeat with the rest of the frozen dough. 5. Roll the chimney cake in the remaining cinnamon-sugar mixture. 6. Now prep your small cup of espresso. 7. Let the espresso cool down and then mix it with the cream. 8. Chop up the dark chocolate, put it in a bowl, pour the hot milk on top, and stir until the chocolate is completely melted. Add the espresso cream and stir everything until smooth. 9. 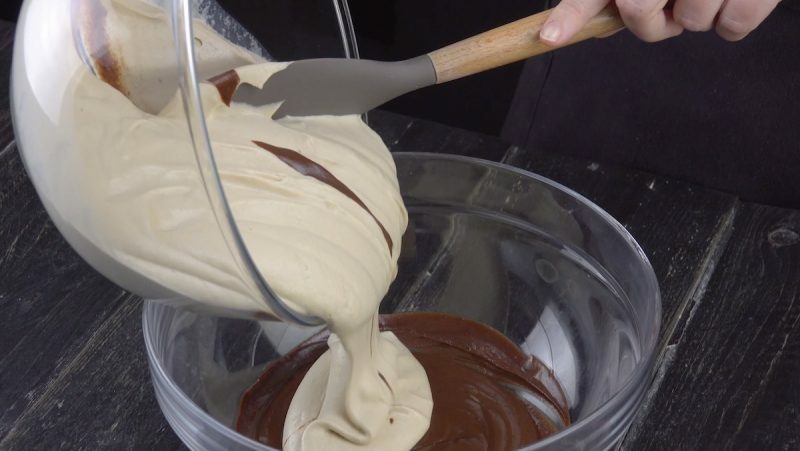 Transfer the coffee mousse to a piping bag and fill the chimney cakes with the creamy treat. 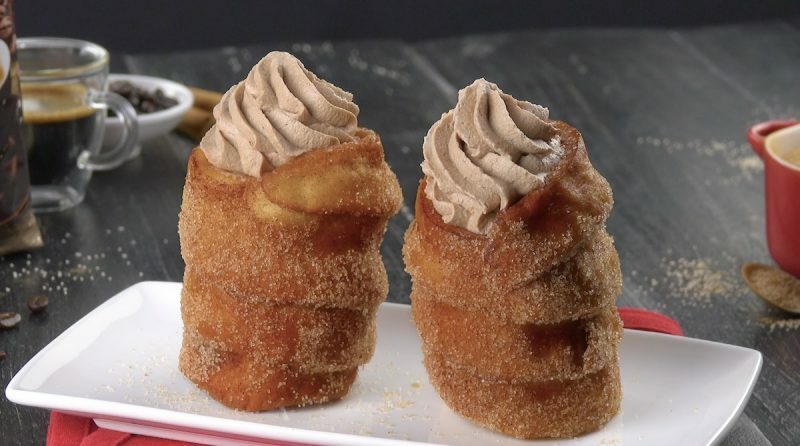 These coffee-filled chimney cakes are nice to look at and fun to eat! If you want to save some time and space, serve these at your next coffee klatch — your guests will love the fact that they get to eat their cup when they're finished. 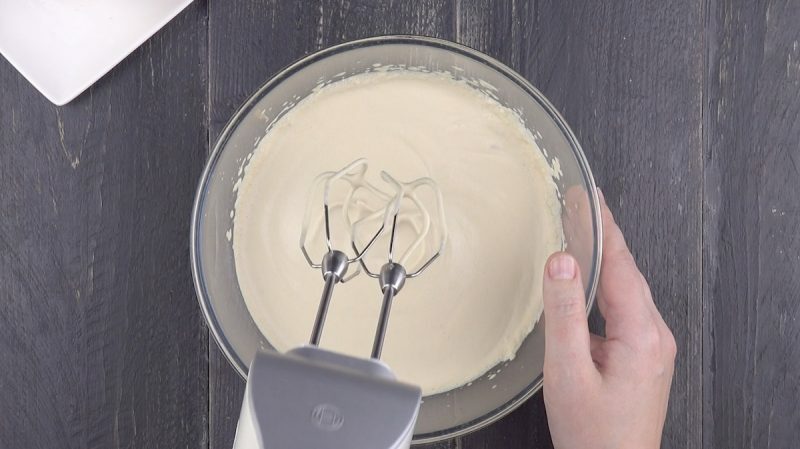 You can find the recipe for the Cappuccino Cream Cake featured in the bonus video here.